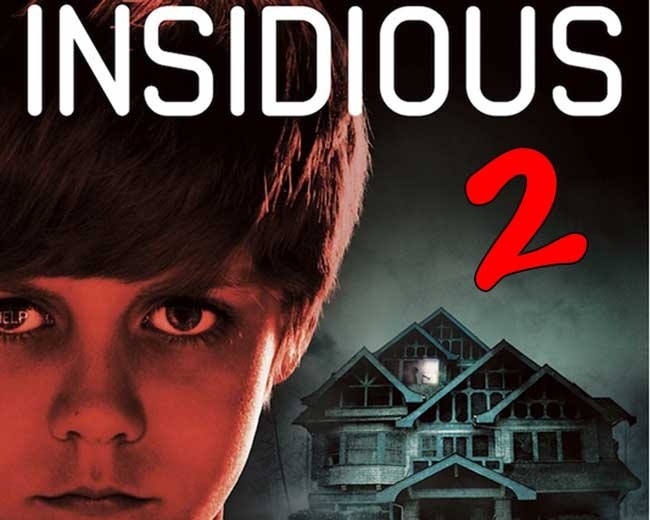 I’m looking forward to seeing INSIDIOUS 2 this weekend. I absolutely loved the first one! The trailer looks very good, and I keep hearing how good the first one was. I’m one of the few people I know who didn’t see the first one yet. But since Halloween is coming up, that’s my perfect excuse. The first just hit on every level for me. I rank it as my personal favorite horror movie. I was rather disappointed with it. It wasn’t terrible, just tried to explain too much and seemed a little cookie cutter to me. I found THE CONJURING to be far superior to it. Yeah, over-explaining is the death of suspense. Sorry u were disappointed. I know how much u liked the first. It doesn’t detract from the first one for me at least, and they set it up for another potential sequel (which, given how much money it made is practically a definite) which would take it a different direction. I’d still be excited to see it when it comes out. I’ve heard rumors that director James Wan has said he doesn’t want to do anymore horror movies though, which could hurt its chances.